"Gita is a high-integrity professional who delivers on what she promises." 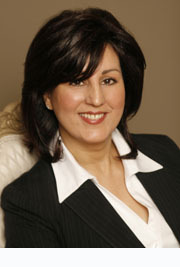 Gita Badiyan, Founder and Principal Consultant at Kiva Corporate Solutions, is a dynamic speaker, coach and workshop leader. She combines practical business applications, research and life experience, to make a difference in the way people think, communicate and perform. Focused on working with organizations committed to building high performance cultures and value-driven leadership, Gita’s roles have included advising, designing and facilitating the people side of transforming teams. Gita has led numerous projects in business and industry, taught at Universities and colleges and helped organizations boost business performance. Since 1996, she has helped thousands of executives and their staff develop strong leadership skills and practical strategies for inspiring and working well with others. With a foundation in psychology and a graduate degree in adult education, Gita knows how to connect with her clients, head to head, heart to heart. She holds certifications in Performance Management, Change Management (APMG), Agile methodology, and Alternative Dispute Resolution. Gita speaks regularly to national and international audiences and remains an active member in related professional organizations. She is a member of the International Federation For Professional Speakers, the European Baha’i Business Forum, the Association of Project Management Group and the Canadian Association of Professional Speakers. Gita considers herself a world citizen having lived and worked in South America, Asia, Europe, Middle East and the South Pacific. International assignments have given her work a distinctive depth and dimension helping her clients successfully capture the needs of a diverse workforce.